Bandito's conformation is excellent. Bandito has a very typey teddy bear full fleece head. His fleece carries a medium amplitude and medium frequency crimp throughtout and to the tips. He has a nice hand for his color and carries medium density. 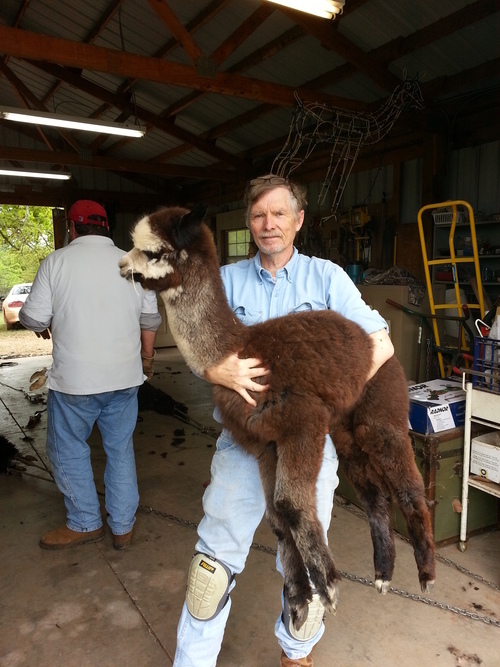 This male is co-owned with Richard & Lisa Cruanas of La Finca Alpacas. Bandito began his breeding career in 2010. His offspring are proving to be awesome quality! This guy is a classic silver grey of black and grey heritage. 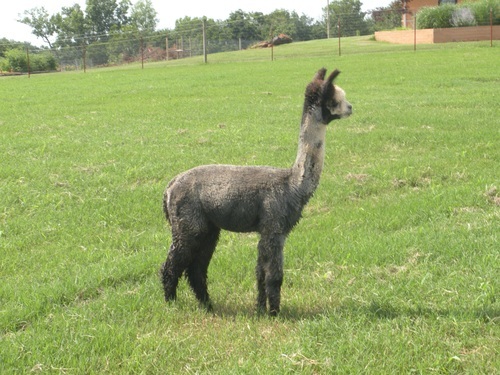 He is a handsome male with excellent conformation and fine fiber. A real head turner!